Aside from the extensive design and engineering improvements, the luxurious new Rapide S – which replaces the outgoing Rapide in markets worldwide – is now even more refined thanks to a range of additions to the four-seater’s sumptuous interior. Still instantly recognisable as an Aston Martin, of course, the new Rapide S now boasts an imposing and assertive new ‘face’, created by virtue of the impressive and striking new full grille. Imbuing the new car with an even more sporting, forceful demeanour, the revised front end design is matched at the back by a striking new rear deck profile which includes a more pronounced boot lid ‘flip’. The aerodynamic and aesthetic upgrades both reinforce the sporting nature of new Rapide S and work to counteract lift at higher speeds. 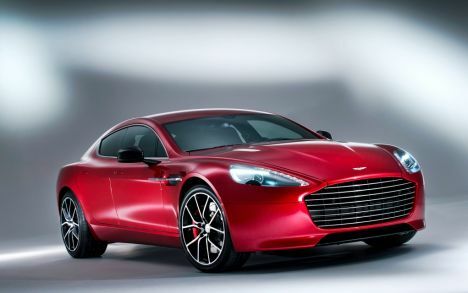 Aston Martin Chief Executive Officer, Dr Ulrich Bez said: “The Rapide S is to me, without doubt, the most beautiful four-door sports car on the market today. This is, very clearly, the power of luxury in action. “The car’s stunning visual appeal is now matched by a much more powerful and yet more efficient engine – our exceptional new AM11 V12 – which increases massively both the excitement and performance potential of the Rapide S.
The new Aston Martin Rapide S will be available to order through the brand’s 146 dealers worldwide next month with prices confirmed closer to the on-sale date.